Mark and Bruce at Real Food Has Curves (what an irresistible name!) 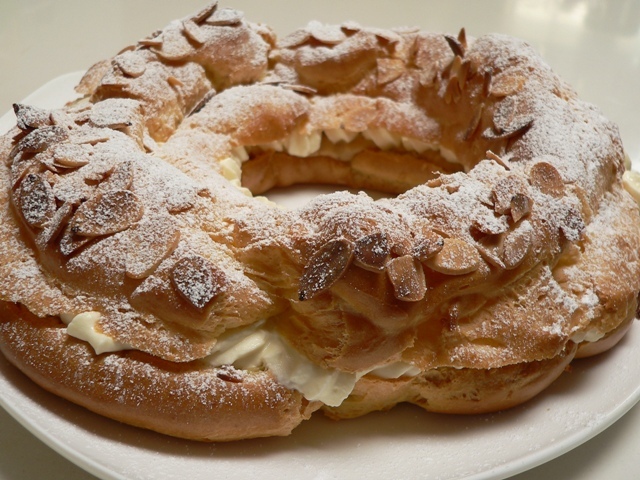 wrote a three-post recipe for Paris-Brest, a French pastry traditionally made to celebrate and nourish athletes at the end of the long Paris to Brest bike race. 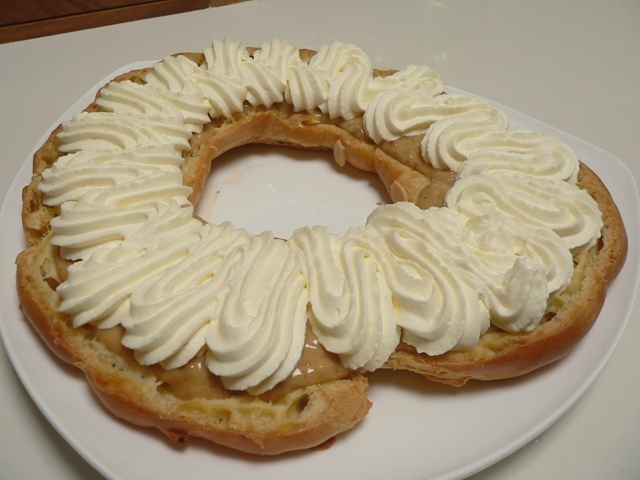 Created in 1891, the wheel-shaped ring of choux pastry is filled with crème pralinée and sweetened whipped cream. I had to walk to the shops twice to buy necessary ingredients – not quite the 1200km between Paris and Brest – but I figured that justified me eating a generous slice nonetheless. The guys have written the best instructions I’ve come across yet for choux pastry, and I’m confident that it’s something I’ll be baking regularly from now on. 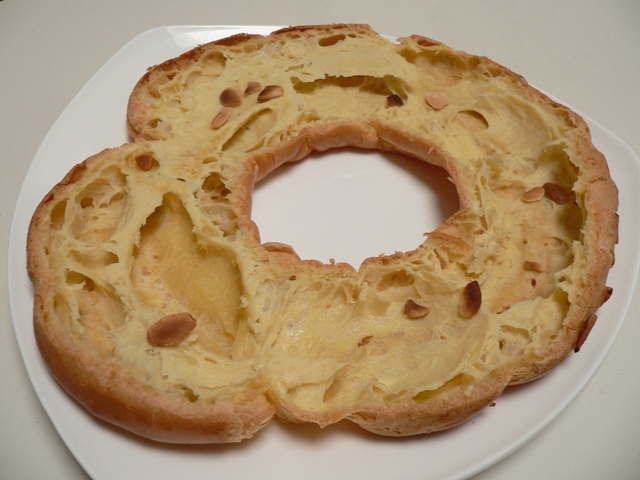 I won’t repost their recipe here, but will instead refer you directly to their first post: Paris-Brest, Part 1. 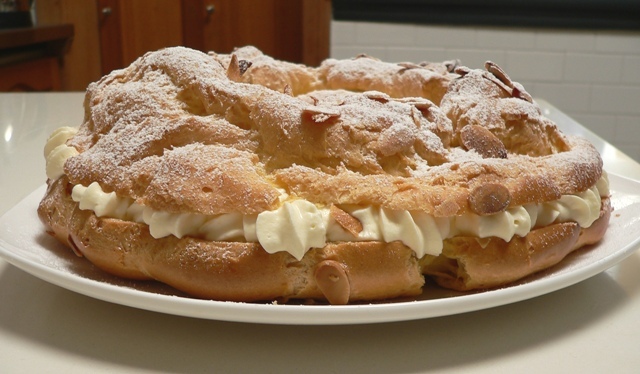 I followed their instructions to the letter to make the nougatine and choux pastry, but substituted my own recipe for crème pâtissière (forgive me, Bruce! 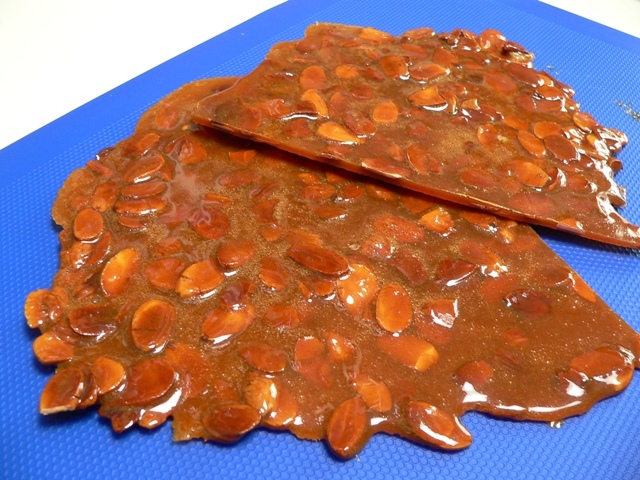 ), which is made in the microwave in just a few minutes. 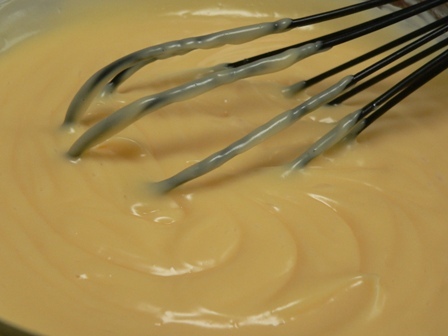 I let this set up in the fridge for a couple of hours before attempting to cut it, as the cream was quite soft. It sliced beautifully after that. Now, time to ring the neighbours and share the love around!